ACSnet can be tailor-made to each person in the organization so that they have a personal password that needs to be entered to get access to ACSnet. Via this password the system automatically defines the platform for the user - preferred language and level of access to the ACS controllers. This ensures simplicity in operation and allows for each person to “grow” with the system. As each person becomes acquainted with the system, new access levels can be defined that allow further accessibility to the system. Via the ACSnet software you have access to all ACS controllers in the network, and from here you can distribute and collect data within this network. If the network is connected to internet you will naturally be able to connect to the system anywhere internet is accessible. More users can work on the system at the same time, and since the ACS controllers work with up to 16 different languages simultaneously, the system is accessible for nearly everybody who has security clearance. This brings transparency and safety on all levels within the organization. All alarms and relevant process data are automatically logged in a database and information can be collected any time for further analysis. From this information all authorized persons will be able to trace all events that are related to the production. This brings safety to the production and simplifies communication between the employees in the production, technicians and people from the administration. 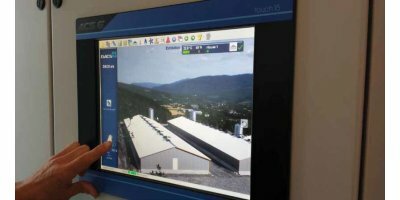 DACS A/S is a family-owned company with 30 years experience of developing, producing and delivering ventilation and control systems for livestock production. We have used our comprehensive knowledge about livestock production in the development of new products ensuring our customers the best ventilation solutions on the market. Our focus is on optimum animal welfare and on maximum energy efficiency. No reviews were found for ACSnet - PC-Based Program Software. Be the first to review!